Supermodel Liu Wen, the latest face of the tee & denim line, Rag & Bone, is making waves but not for her work in front of the camera but rather the lack of prep behind it. Part of a new editorial feature by Rag & Bone, DIY Project is a concept never before embraced so publicly in the fashion world. The ad series, which featured the likes of Miranda Kerr and Candice Swanepoel in the past, is simple – give the model a bag of Rag & Bone clothing, a camera and the creative control to shoot however and where ever they’d like. Liu Wen decided to skip the runway worthy hair and make up, taking her shoot into the realm of au naturel and real-way beauty instead. The end result is as approachable and stunning as it is motivating to purchase. By highlighting her own look of wash and wear and a no-fuss approach to beauty, Wen speaks to the consumer in a way that most overly editorial shoots could never do; highlighting the natural beauty we all posses rather than glorifying the created beauty we’re meant to covet. 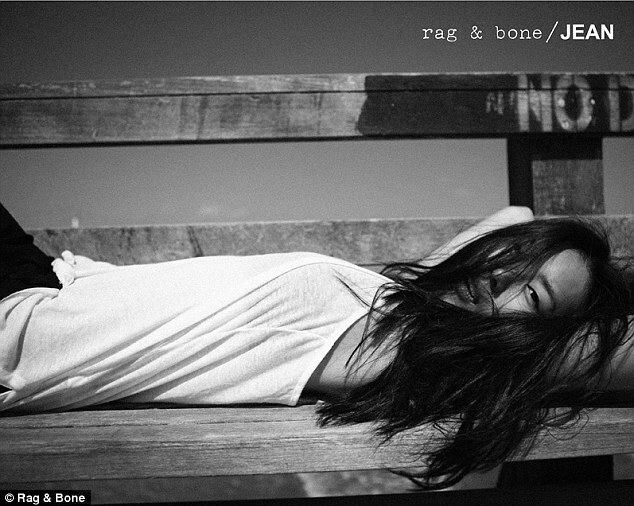 Rag & Bone co-designer, David Neville stated ‘We think it’s cool to show the girls in this light– it’s stripped back and it’s all about personal style and attitude which Rag & Bone really believes in.” . He also revealed that the DIY Project series had enjoyed a fantastic response since its launch in spring 2011. Given we’re all about the DIY here at DIY2EMC, we’re especially excited for the open reception of natural beauty and all that is implied within “Doing It Yourself”. DIY is more than just a catchphrase, it’s a lifestyle. Wen’s refreshing interpretation of that, along with Rag & Bone’s DIY Project, we hope spurs a movement that gains just as much speed in the fashion world as the DIY acronym that inspired it. With forward thinkers like Wen at the helm, we have no doubts it’ll happen soon enough.